Adjustable Anatomical Body Support Bar That Can Be Easily Adjusted for Right or Left Hand Use. The Arched Support Arm is made with mounting holes on both ends. If needed, just remove screw and change configuration. 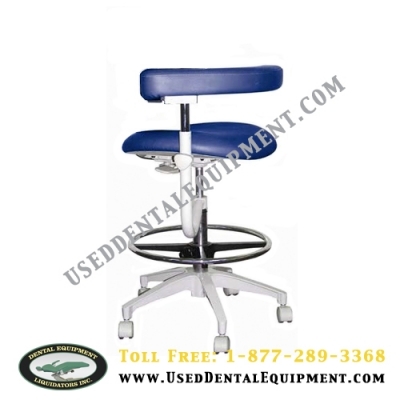 Abdominal support vertical adjustment range: 0" – 3.5"
Seat height ranges: 22" – 29"